I was full of trepidation when I started The Selection. I had just put Kiera Cass’s The Siren into my ‘Did Not Finish’ pile when I decided to give her The Selection series a try. I heard too many good things about it; my friends kept talking about team Aspen or team Maxon, so of course I had to find out what team I would eventually like. Of course, I usually end up disliking love triangles – the indecisiveness love triangles create in characters drives me up the wall! 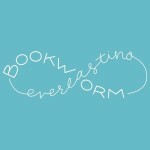 – but despite an obvious one in The Selection (reviewers aren’t lying when they say it’s like the TV show The Bachelor), I still ended up liking the book well enough. I also saw comparisons between The Selection and The Hunger Games, though I’m not sure why people keep comparing every dystopian fiction to The Hunger Games. Sure, there were castes in The Selection (similar to districts from The Hunger Games in that humanity was separated into different populations), and maybe that’s why they related it to The Hunger Games, but that was the only similarity I noticed. None of the 35 girls had to kill each other to win the prince. Until Maxon was introduced, I felt completely emotionless from the book. I felt nothing whenever America was with Aspen. Usually I have butterflies and feel giddy with happiness for the romance between characters, but I did not get even one flutter for America and Aspen. I didn’t like Aspen’s temper or how upset he got when America did something nice for him. Right out of the gate, I knew I wasn’t going to be team Aspen. When America met Maxon I instantly perked up. I took to Maxon immediately. He was shy, sweet, romantic, my favorite qualities in my love interests as some might know by now. I adored how patient he was with America. He was always giving her the time and space she needed to sort out her feelings. Shockingly enough, even with America torn between two men, I admired her behavior in The Selection. She seemed to check herself when necessary and I appreciated that, especially being in the difficult situation she was in. Not only was she torn between Aspen and Maxon, but Maxon had 35 other ladies to pay attention to. 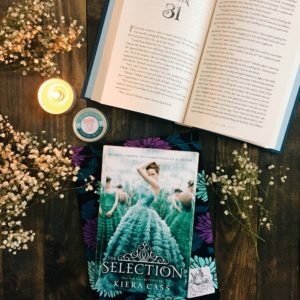 It’s still too early to say if Kiera Cass did the love triangle the “right way” since there’s two more books to read, but I’m still holding onto that hope that it will be done decently – The Selection definitely got the beginning right! Thank you Clara! It’s an enjoyable series. I read all 3 in a matter of days. Mostly because there is so much drama.